Celebrating 36 years! Opened in 1980, Children’s Speech and Language Services has long provided parents support for their children with developmental and/or speech-language challenges. Key to success in treatment is our way of looking holistically at children, at how their breakdown in communication affects family dynamics and social peer interactions, as well as academic performance. 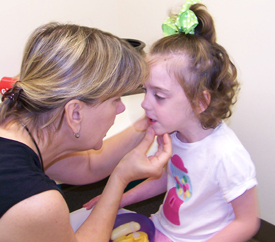 We tailor treatment by identifying weaknesses as well as strengths in every child. We thoroughly enjoy our strong partnership with each family, knowing that it is only by working together that we can help children find their way through life…with words.